As humans change the world, we also change the environments of the animals who live among us. You can enrich the education of the wildlife experts and researchers who balance our needs and help us peacefully coexist. We humans aren’t alone on this planet, and our actions can drastically affect our animal neighbors. In this dynamic landscape of urban and rural areas, wildlife are constantly pushed to adapt or disappear. We need more trained researchers and practitioners to keep up with the changing needs and management of wildlife, and to better understand the threats we pose to each other. The densely populated Cook County — which houses Chicago — is also home to an estimated 2,000 wild coyotes. How do they live so successfully among humans, pets and other wildlife? Do they pose a danger? Do we? Questions such as these are what Ohio State wildlife researchers are working to answer. At the School of Environment and Natural Resources, we’re producing the next generation of wildlife conservationists and managers. We’ve established a fund that will help more students take part in research trips to study coyotes living in urban environments or use local parks as wildlife laboratories. Researchers will have more opportunities to study how wildlife are affected by mining operations or changes along the Lake Erie coastline. All of this will help balance the needs of our communities with the needs of wildlife. Make your gift today to support wildlife experts and ensure that we continue to peacefully coexist with our animal neighbors. 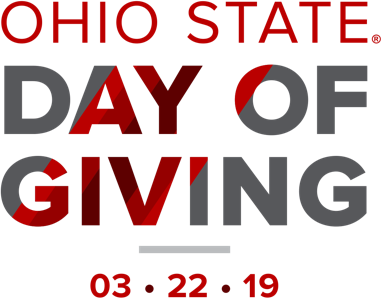 Environmental education, agriculture and preservation initiatives at Ohio State depend on the generous gifts from our friends and donors. Help secure the lasting benefits of the environment through your gift to Ohio State. Supports education and outreach at Stone Lab. Supportd the general operations and activities of the Sustainability Institute. Supports the department of Environment, Economy, Development & Sustainability per the discretion of the director. Used to support sustainability efforts and enhancements within the Department of Athletics.